1) When I’m struggling to sleep and need to make sure I get rest before morning..
2) When I’m feeling restless on a flight..
3) When I need something calming..
And in all 3 of the above times, this book is simply brilliant. 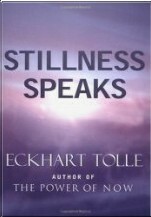 It is deep, extremely thought provoking and narrated in Eckhart Tolle’s calm and sleep-inducing voice..
1) A book that cannot be read or understood in 1 sitting. 2) A book that can be read and re-read many times and still enjoyed..
3) A brilliant book for relfection..
4) Lot’s of silence and pauses during the book .. Previous Post Regularizing book learnings, writing a book and more updates..
Next Post Effective Book Releases – Learning from the Get-It-Done Guy..